Shopping Tips for Getting Dad the Right Gift for Father's Day! Shopping Tips for Getting Dad the Right Gift for Father’s Day! With Father’s Day quickly approaching, Americans are looking to find the right gift for Dad- something he can use and enjoy. If you’re tempted to gift him another tie this year or tool for his growing collection, reconsider. According to TopCashback.com, the US’s most generous cashback site, 46% of American dads really want a gift card on his special day. 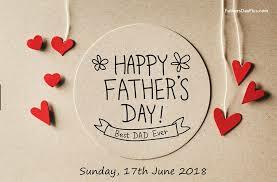 TopCashback also found 74% of Americans plan to purchase a Father’s Day gift and 84% aim to spend between $1 and $100 on the paternal figure(s) in their lives. TopCashback.com also found 64% of Americans will purchase Dad’s gift at an online retailer such as Amazon or Jet.com.